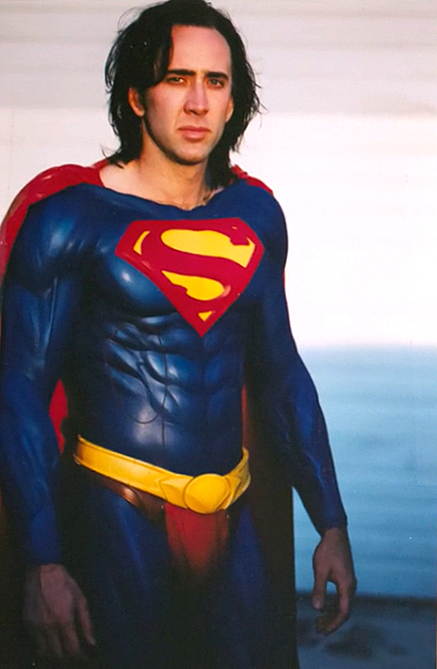 Courtesy of El Club El Planet come these rare pics of the abandoned Tim Burton movie Superman Lives – a project that would ultimately be abandoned only weeks before photography in 1997 in a highly controversial move exemplifying the production hell hampering the characters return to the big screen since 1988. 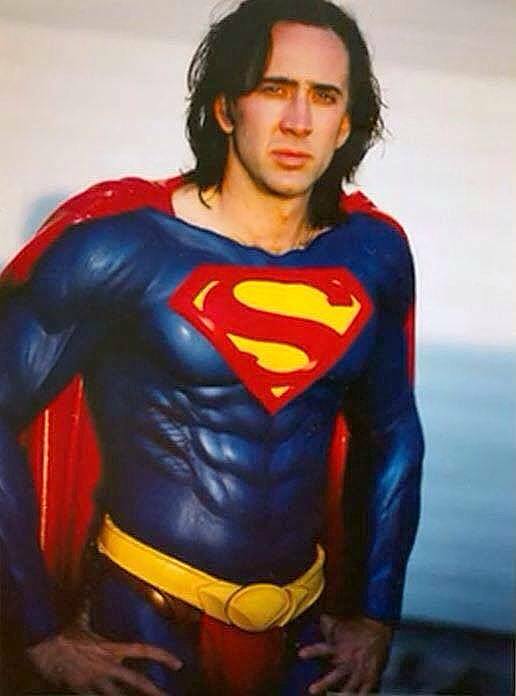 The rejected scripts had begun with Superman V (or Superman: The New Movie) in 1990, Superman Reborn in 1992 and various drafts of what became Superman Lives which was greenlit with the commitment from Burton after the departure of writer/director Kevin Smith. Lives eleventh-hour cancellation would yield little material in subsequent years save for unconfirmed script rewrites to the point where the whole endeavour verged on myth. 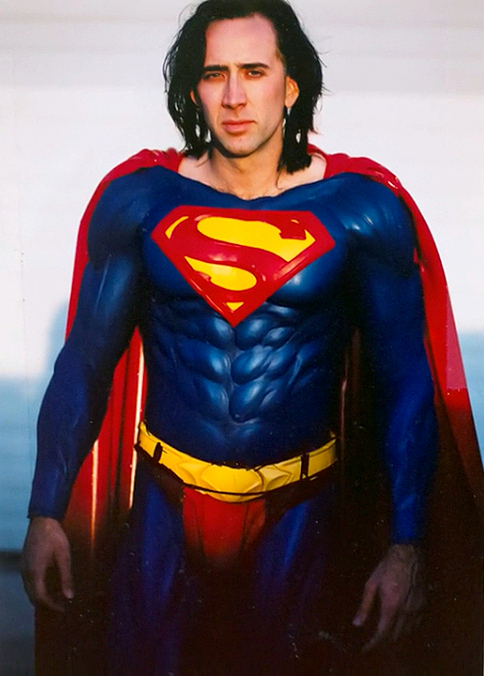 Aside from some concept art, a blurred, unconvincing photo of what pertained to be star Nicolas Cage (above) in a bizzare muscle suit and a poster appearing at a Toy fair was the only supposed proof of any pre-production. Naturally it would be the persistence of fans that would not only unravel the mystery but prove just how close the picture was to becoming reality with photos and even footage from the project no-one ever thought they would see. 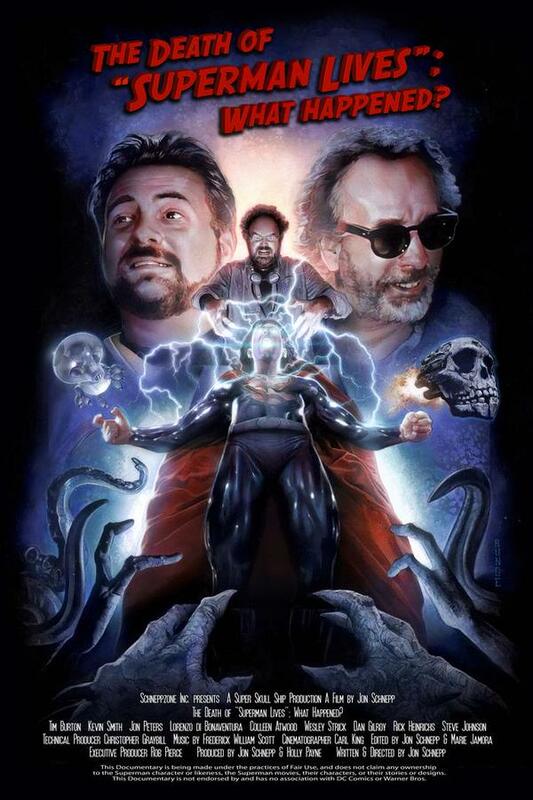 And so thanks to Jon Schnepp and others there is, incredibly, a new Superman film made by fans, for fans to enjoy with the fascinating The Death of Superman Lives, What Happened? documentary available now as a digital download (bottom pic). where exclusive interviews with the likes of Burton, Smith and scriptwriters Dan GIlroy and Wesley Strick, are presented in irreverent, watchable style (watch the first 10 minutes). That suit looks horrible!!!!! Thank goodness it never got made. I remember hearing many of those very same rumors. Fun stuff. Wonder how much was actually true if any? I wish I could revive those old pages at AICN, but unfortunately their long gone into the vapors of the inter-web. I’m happy this project died fast. I’m sorry, but it just doesn’t look right.